With technology changing daily, it can sometimes be hard to know what to use and what not to use in your home or business. Light bulbs are an out of sight, out of mind kind of item. You have them, but don’t replace them for quite some time and it may not seem important to have the latest and greatest light bulb. Installing the latest types of light bulbs will not only save you more money, but it will also benefit the environment. Don’t know the differences between different kinds of light bulbs, don’t worry! We have covered some of the most popular bulbs and what to expect with each type and whether or not to keep them or replace them. 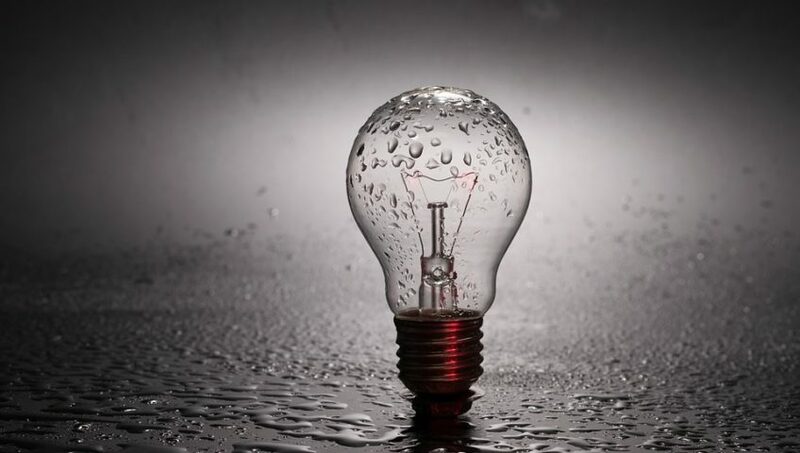 This type of bulb produces light using electricity that heats a metal filament until it becomes “white” or hot. This is where they get their incandescent name as they were said to “incandesce”. 90% of the energy that is emitted from these bulbs is heat which can cause lamps to get hot. Incandescent light bulbs were the most commonly used bulb as well as the least expensive. It wasn’t until 2012 that these bulbs were in the beginning stages of being phased out in the United States. The reason behind the phase out is that they no longer meet federal energy-efficiency standards. It is recommend that if you currently use this type of bulb in any of your lighting, that it be replaced with a more energy-efficient option such as an LED. CFLs work by sending an electric flow between electrodes which are positioned at each end of a tube containing gases. This action then produces UV light and heat, at which point, the UV light strikes a phosphor coating on the inside of the bulb. This is then turned into visible light. CFLs use about a quarter of the energy as incandescent bulbs but that doesn’t come without a risk. Unfortunately, these types of bulbs contain trace amounts of mercury which has been known to be harmful. LED light bulbs work by sending an electric current that passes through semiconductor material. This in turn illuminates small light sources called LEDs according to Energy Star. LED bulbs are small and can be used in many different areas because of their versatility. These bulbs are also knows as “directional” light sources, which means they can emit light in a specific direction. LED bulbs use about 1/3 to 1/30th the amount of electricity as Incandescent or CFL bulbs. This means you are saving energy and reducing your electric bill. It is recommended that eventually all light bulbs are switched out to something more energy and cost-effective such as an LED bulb. Kirby Electric can help your business solve its electrical and lighting problems with lighting retrofits! You can schedule an energy audit with Kirby Electric and find out how your business can go green and save money at the same time!